Psychological and pharmacological interventions for people with depression and anxiety are commonly used in clinical practice. While these interventions can be effective for many of our clients, their influence may be abated by many factors. For example, there is increasing research confirming the importance of diet, nutrients, exercise, and other lifestyle and environmental factors on mental wellbeing. If not acknowledged sufficiently in therapy, they can have detrimental effects on the therapeutic potency of both psychological and pharmacological interventions. Personalised Integrative Therapy (PI Therapy) is a multi- targeted model that utilises research-driven strategies promoting changes in psychological, dietary/nutritional, lifestyle/environmental, physical/medical, and social/spiritual domains. In this 2-day workshop, you will learn about PI Therapy, how to identify areas influencing your clients’ mental health, and how to incorporate integrative strategies to complement your psychological therapy. In particular, you will learn about the rapidly expanding field of diet, nutritional status, and natural supplementation as an adjunctive treatment for depression and anxiety disorders. This will be at a level suitable for psychologists and other mental-health practitioners. By identifying possible causes of each client’s mental-health condition, and treating these causes (lifestyle, dietary, and biological, etc. ), in conjunction with conventional psychological and pharmacological interventions, you can potentially improve treatment outcomes for your clients. Topic 1: Physiological disturbances associated with depression and anxiety. 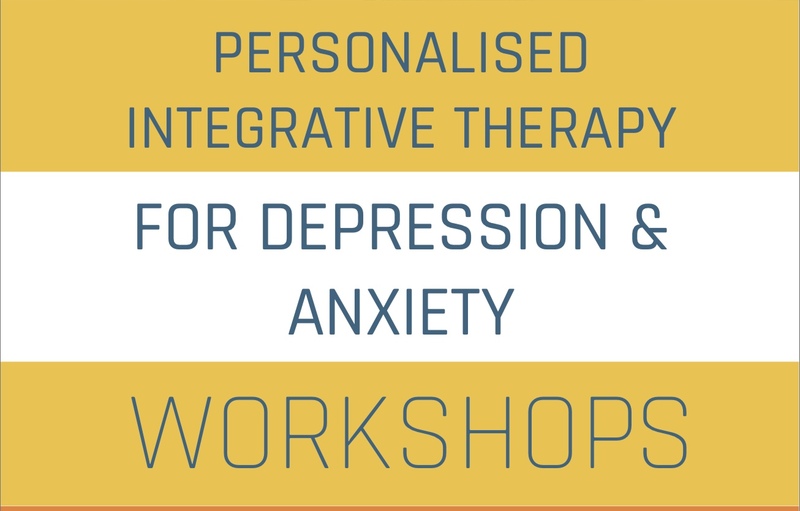 Topic 2: What is Personalised Integrative Therapy (PI Therapy) and how can it influence physiological and psychological markers associated with depression and anxiety? Topic 4: Develop tiered PI Therapy case formulations and treatment plans based on client and practitioner factors. Dr. Adrian Lopresti is a Clinical Psychologist in private practice and senior researcher at Murdoch University, Western Australia. He has over 20 years of clinical experience working with children and adults, suffering from a range of mental health conditions. Dr. Lopresti has experience in a range of psychological therapies and has received extensive training in nutritional and lifestyle treatments for mental-health disorders. Dr. Lopresti regularly publishes in peer-reviewed and high-impact journals on the effects of diet, nutraceuticals, sleep, and exercise for the treatment and prevention of depression, anxiety, attention deficit hyperactivity disorder (ADHD), and bipolar disorder. He has completed several clinical trials investigating the effects of curcumin, saffron, and Ashwagandha for the treatment of anxiety and depression in children and adults. Dr. Lopresti is also the founder of Personalised Integrative Therapy, and regularly conducts workshops both nationally and internationally.